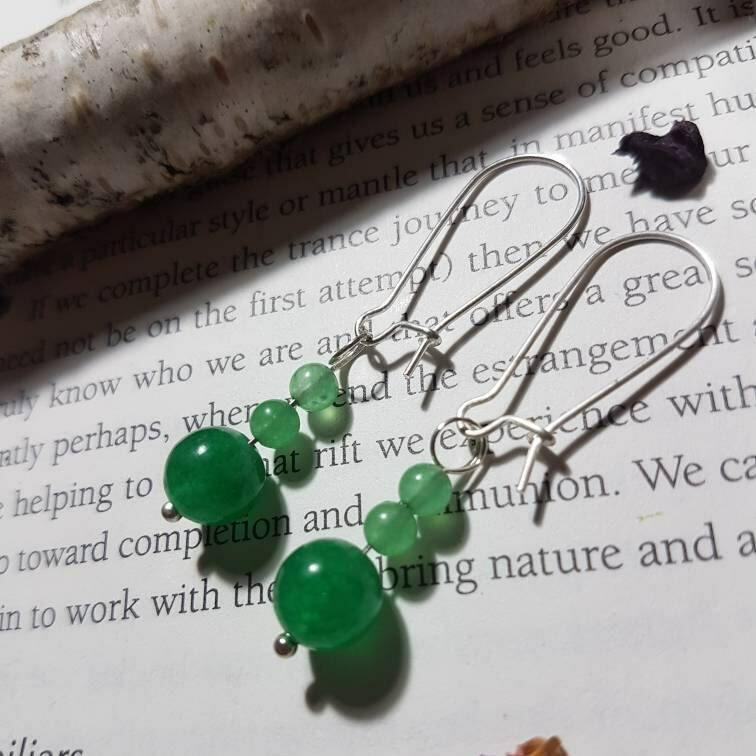 Silver plated dangle earrings of Green Aventurine. Chain and findings are plated silver. 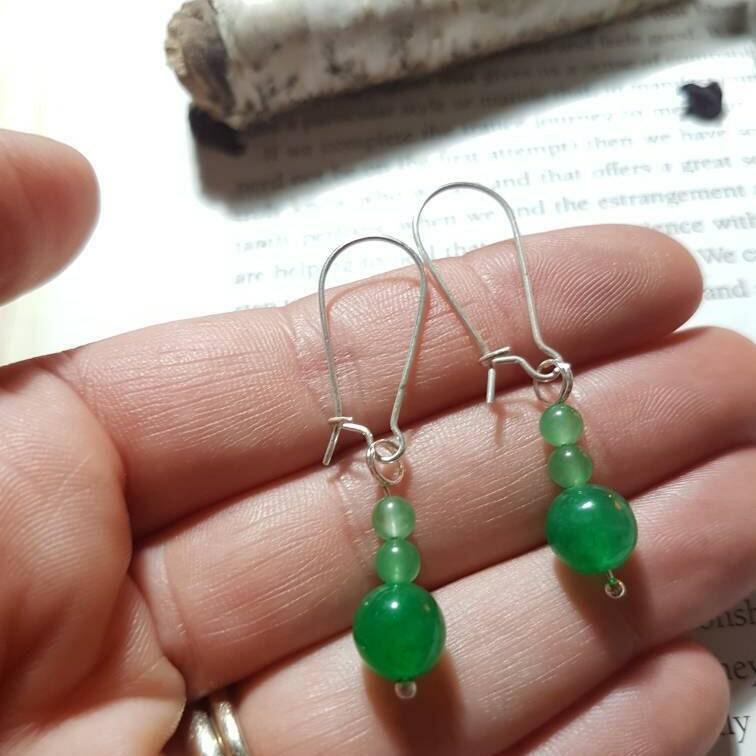 Dangle earrings measure approx. 4.5cm in length. 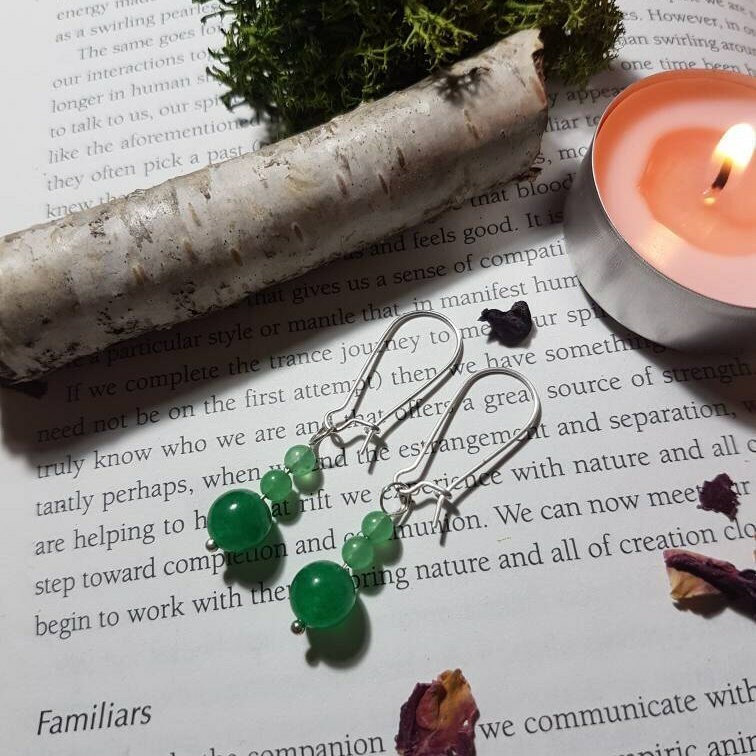 Earrings come wrapped in tissue paper with a details of properties of the crystal, a small dhoop stick to cleanse your item and a cloth gift bag.